Located about 30 miles from Brisbane in Queensland, Australia is Haigslea, a suburb sandwiched between Ipswich and the Somerset region. Primarily a rural area and an abode to farms, this area over time will become a suburb or an extended city to the greater Brisbane area as it expands outwards. In lieu of this, solar power in Haigslea is a study that briefly outlines the possibilities in this area. A small town, more akin to a village, which has a population of only 414 people has quite a few farms around the area. Notable among them are horse breeding farms that deal in thoroughbreds for races. It takes about 45 minutes from Brisbane to reach Haigslea and about 25 minutes from Ipswich. History – This area was known as Kerchheim before the First World War. However, due to anti-German sentiment prevailing at the time, the name was changed to Haigslea in honor of General Douglas Haig. General Haig was one of the most important military personnel of top rank who fought for the British in many wars including the First World War. The name of the place can be broken down into Haig’s (an honored person’s name) and lea (meaning place in old English). Development – Many Australian realtors are currently looking into this area for real estate development due to its strategic location, being close to both Brisbane and Ipswich. The area is primarily a scrubland. Its topography mostly consists of long flat plains covered in shrub like vegetation punctuated by small ponds and lakes. If real estate development is picked up in this area solar power in Haigslea can be built along with the new projects. This will reduce the requirement for cumbersome conventional grid setups right from the start and create a community almost entirely driven by solar power. 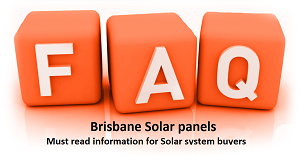 Feasibility – Located in the southeast part of Queensland it enjoys the same benefits as the areas surrounding it. Plenty of consistent sunshine throughout the year makes it an ideal candidate for solar power. As mentioned before it primarily consists of agricultural farms with a few animal husbandry farms strewn about. Some of these farms already employ solar power as it cuts down on the cost of long term power cost. If the planned real estate development in Haigslea has positive responses and the drive picks up then with wide open spaces real estate development, both commercial and residential, presents an enormous potential for the area. At this point the current tendency seems to be towards commercial estate, especially for farms, which can grow abundantly in the area. For farms, solar power in Haigslea will enable them to function much more efficiently as requirements for electricity can be easily managed by them for respective setups. Tailor made solutions for specific situation can be provided. Unlike any other commercial or industrial power requirements farms tend to be a lot less of a heavy demand sector. This is where solar power in Haigslea can come in and all together eliminate the need for conventional power grid lines to be extended and become a bigger burden on the local electrical grid.